With 2016 well underway, it’s a great time to check in and ask: how are you doing with your #TRANSFORM resolutions? If you find yourself falling a bit short of your goals, you’re certainly not alone. Given that 92% of New Year’s Resolutions fail, it’s all too common for motivation to wain since January 1st. However, if your fitness and healthy eating regimes have started to slip, there’s no need to throw in the towel altogether. Now is the perfect time to revisit your game plan and get back on track. With the warm summer months creeping closer we have a great solution to help you stay motivated—enlist a workout partner! Whether it’s a family member, friend, partner or co-worker, find someone who is looking to get fit and tackle your goals together. ACCOUNTABILITY: We all know the feeling. It’s cold and rainy and after a long day of work, all you want to do is curl up on the couch with a big bowl of pasta and call it a night. On days like these, a workout buddy can do wonders for helping you stay on track. It’s not as easy to skip your class if there is someone holding you accountable. Your workout partner can provide the motivation you need to get off the couch and onto the Reformer. BOOST THE FUN FACTOR: Not unlike happy hour or brunching, some things are simply much more enjoyable when you have someone to enjoy them with. Sweating is another one of those things! BUILD CONFIDENCE: Signing up for a new class can be intimidating. When you have a workout partner to navigate this new challenge with, you’re more likely to try new things with less hesitation. WORK HARDER: A little friendly competition can give you just the right incentive to push yourself harder than you would on your own. GET SOCIAL While sweating through a workout may not be the best time to spark conversation, make your workouts social by grabbing tea or a healthy breakfast post-class. Before you know it, your workouts will be something you look forward to. While we all enjoy a good solo workout from time to time, having a workout buddy by your side can do wonders for your body, your mind and your #transFORM goals. 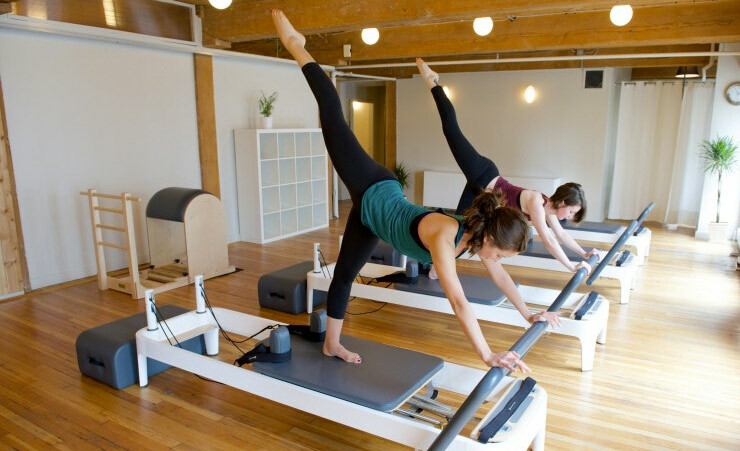 Our DUET CLASS PACKAGE is popular amongst couples and friends who are looking for individual attention in their Pilates practice, plus it’s a more cost-effective alternative to our private rates. Grab your workout partner and CONTACT US to learn more!